The seventh contest puzzle of 2015 is now published – you can find it here. 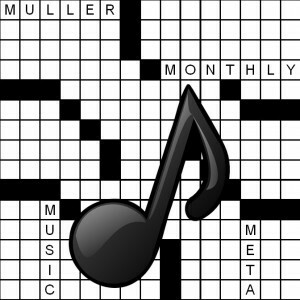 The meta for this puzzle is a classic rock-and-roll album. Enter your solution to the meta in the box below, where you can also rate the puzzle and/or leave a comment. Mega-meta update: An additional six people solved the mega-meta this month, bringing the total number of 2015 mega-meta solvers to eleven. Congratulations! This contest is now closed. The solution will be published on Tuesday. In addition to the usual rock and pop metas, there will be at least one jazz and one classical meta this year. I’ve started putting the meta text in the pdf and puz files, copying an innovation Peter Gordon started for his metas – thanks Peter! The 2015 contest once again features a mega-meta, hidden in the 12 monthly puzzles. You can enter your solution to the mega-meta in the box at the right at any time during the year. The scoring for the mega-meta has changed a little bit. Full details can be found in the Contest Rules. Because the reward is so large for getting the mega-meta before the final puzzle, there may be some tricks designed to throw solvers off the track, like last year’s red herring. Consider yourself warned. Click here (SPOILER ALERT) for the write-up on last year’s mega-meta (and here for the 2013 mega-meta).